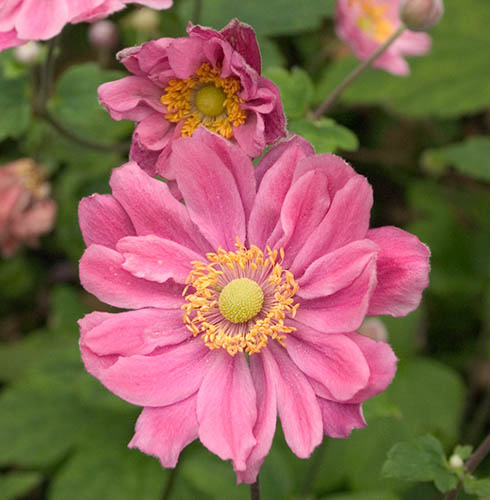 (EM) A new Japanese Anemone from our nursery. Large semi-double rose-pink flowers, paler in the centre, produced in profusion Aug to Oct. Very vigorous, for fertile soil in sun or part shade. 80cm. high. Probably the most prolific flowering Anemone I have come across. 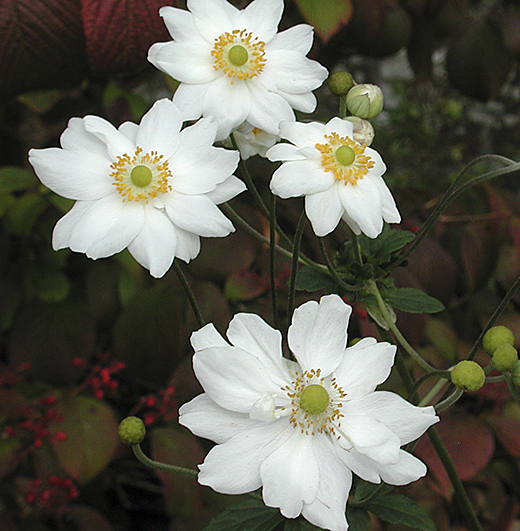 This is the classic, pure-white 'Japanese Anemone'. Producing large single, pristine-white flowers from late summer to autumn, Beautiful. 120cm high, for fertile soil. Good in shade. Large, very pale pink, semi-double flowers. August to October flowering, a little known beautiful variety. 100cm. high. Large pale-pink very double flowers from end August to October. 80cm. high. Very choice and distinctive cultivar with deep pink double flowers forming a perfect rosette around the yellow centre. 70cm. high. Soft pink semi-double flowers. Lovely. 70cm. high. 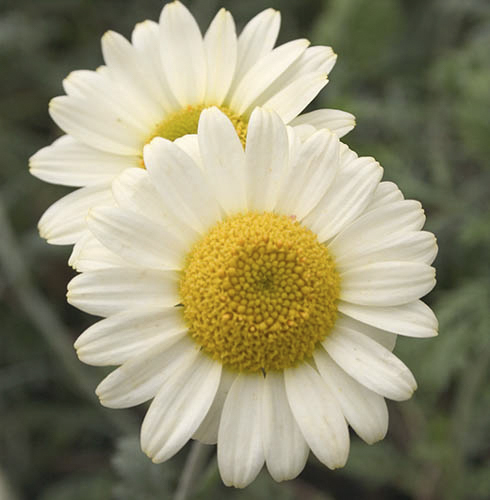 A excellent cultivar, with pure-white semi-double flowers. 80-90cm. high. 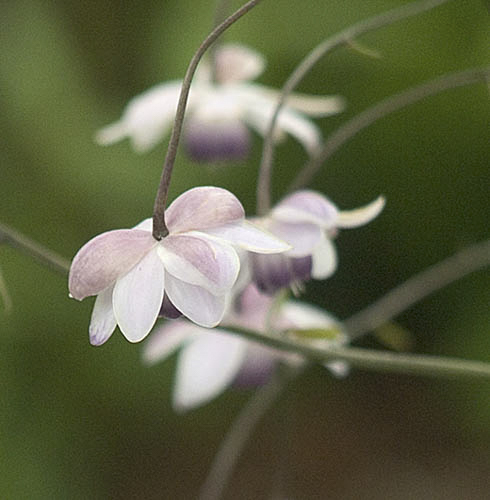 Tall leafless stems carry very pale lilac waxy flowers. Very choice in cool shade and humus-rich soil. 60cm. high. 1 litre pot. Our beautiful white form of the above, with a delicate lilac edge to the white inner flower. Always in short supply. 60cm. high. An excellent form with silvery foliage and large creamy-primrose daisies. 50cm. high.